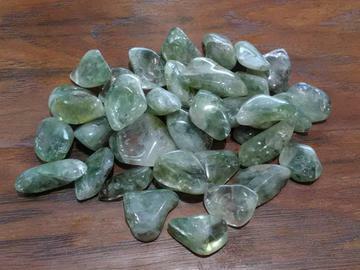 Vermarine, also known as prasiolite is a green form of quartz, a silicate mineral chemically silicon dioxide. Vermarine is one of several quartz varieties. It is found in Brazil, Poland, and Canada. Prasiolite helps to ease discomfort. Those who have issues of self-worth or lack self-confidence uses Prasiolite helps to foster a deep appreciation and acceptance of self.